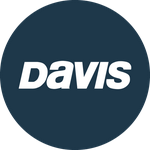 Davis Instruments Support, FAQs and Troubleshooting - What is your return policy? All Categories ​>​ FAQ ​>​ General ​>​ What is your return policy? We pledge to '30-day money-back guarantee' policy. Before returning the item, please consider contacting us first, giving us the opportunity to correct the issue for you, or to simply hear your feedback. Davis Instruments Corp., 3465 Diablo Ave, Hayward, California 94545 USA.